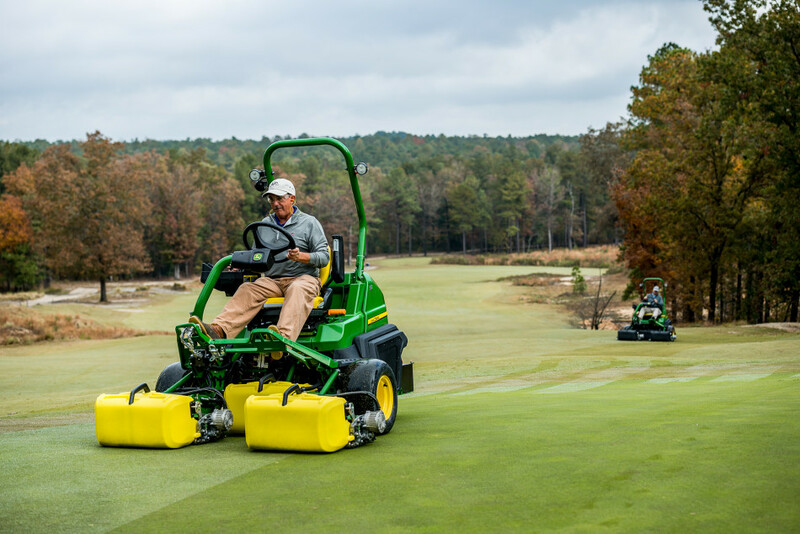 Available from 2020, John Deere's 2750 PrecisionCut and E-Cut hybrid triplex mowers offer more precise control of performance and cut quality than ever before, at lower operating costs. "Consistent cut quality across all operators, efficient contour following and grass box accessibility are all critical needs for our customers, and understanding these requirements was a key driver behind the development of these new reel mowers," says John Deere's European turf sales & marketing manager Carlos Aragones. "The 2750 triplex mowers have been designed to tackle these challenges and take the stress out of fine turf mowing." Using the proven, password protected TechControl system, fleet managers and technicians can input commands, controlling nearly everything relating to the operator's performance. This includes frequency of clip, turn speed, clean-up pass speed and how fast the cutting units raise and lower, providing consistent end results on the course whoever is operating the mower. The 2750 greens mowers' frame design provides a low centre of gravity for excellent stability and traction performance. The lighter weight also reduces tyre tracking and ground compaction, while the open platform makes it easier to access the central grass box. All three grass boxes can be easily removed and installed with one hand, and there is a translucent yellow option for better visibility of grass clippings levels. John Deere's new 2750 PrecisionCut and E-Cut hybrid triplex mowers offer a 62in (157cm) mowing width at speeds of up to 6mph (9.7kph). The three-axis lift system on the cutting units provides up to 18 degrees of steering and 42 degrees of contour following for an even cut, especially on clean-up passes and undulating terrain. For maximum operator comfort, both the steering column and the steering wheel can be easily adjusted without the need for tools.